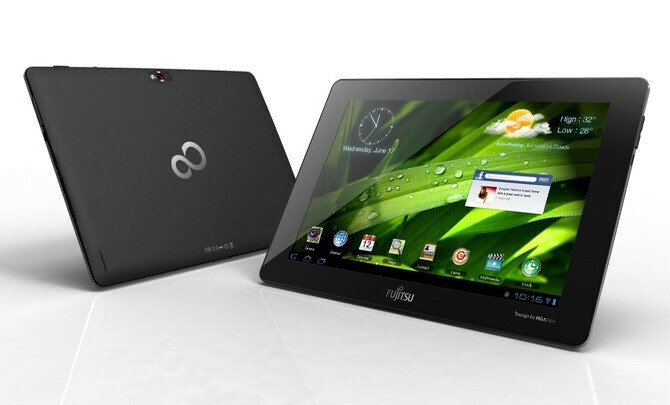 Fujitsu makes some pretty amazing electronic products. The company’s presence in North America is pretty much limited to laptops and tablets. Amongst those offerings are a bunch of Windows PC related gear as well as a handful of Android tablets. 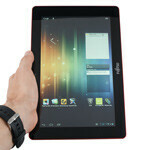 The Stylistic M532 made a name for itself when it arrived in the US market as a quad-core Tegra 3 powered tablet running Android 4.0 ICS with a 10.1-inch WXGA 1280x800 IPS display. On board was 32GB of memory, an 8MP camera and a 2MP front facing camera. Like we observed last summer, the specifications in themselves were not awe inspiring and its initial retail price of $549, later adjusted to $449, was not an attractive price of admission. The M532 does have a couple of value-added features though. Among them, the tablet is built tough to MIL-STD-810G standards which means it will be more than up to the task for putting up with your active lifestyle. In addition to that, a one-year subscription to Absolute Computrace is included, which will help you track down your Stylistic M532 should it be stolen. All that is packed in a 10-inch tablet and weighs in at just 1.23 pounds (just over half a kilogram) which is lighter than just about everything else in the 10-inch tablet space. Still, even at $449, the Stylistic M532 faces some stiff competition on the specification front despite the value-add features. Now through February 4th, Fujitsu is taking an additional $100 off the Stylistic M532, pushing the price down to only $349. That is not a bad deal at all for a rugged 10-inch tablet with theft tracing and a host of business apps included. Check out our review of the Stylistic M532 if you are thinking about it. The M532 is slim, light, rugged and may be a handy addition to your collection.